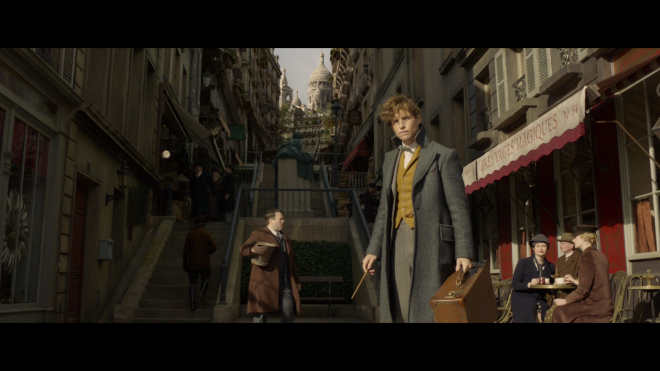 J.K. Rowling conjures up an original tale in Fantastic Beasts: The Crimes of Grindelwald, the second sequel in the Harry Potter prequel franchise, but the plot juggles one too many spells and charms, failing to recapture the magic of its predecessor. The latest installment enchants Blu-ray with a reference-quality video and a satisfying Dolby Atmos soundtrack, but a small set of supplements. Nevertheless, the overall package is worth a look for fans fantasying another adventure in the Wizarding World. You can read our full thoughts on the J.K. Rowling-produced Fantastic Beasts: The Crimes of Grindelwald in our review of the 4K Ultra HD Blu-ray HERE. 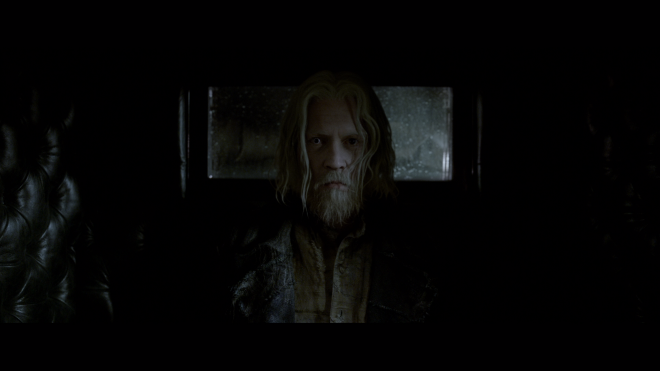 Warner Home Video brings Fantastic Beasts: The Crimes of Grindelwald to Blu-ray as a two-disc combo pack with a flyer code for a Digital Copy. The Region Free, BD50 disc sits opposite a DVD-9 copy inside a blue, eco-cutout case with glossy slipcover. After a couple of skippable promos, the screen changes to a generic static menu with options along the bottom of the screen and music playing in the background. 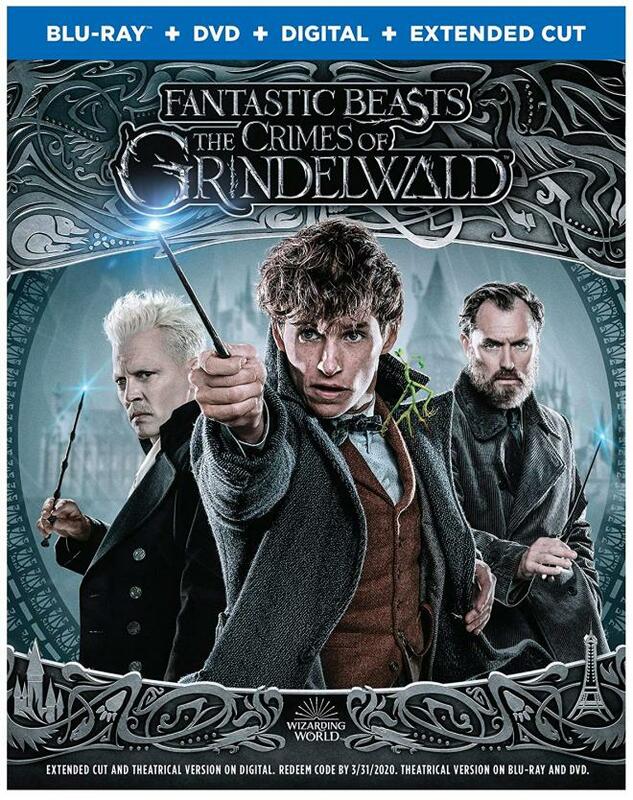 Newt Scamander returns to cast his charms on Blu-ray with an enchantingly magical, reference-quality 1080p/AVC MPEG-4 encode that will mesmerize fans and bring the wizarding world to life. 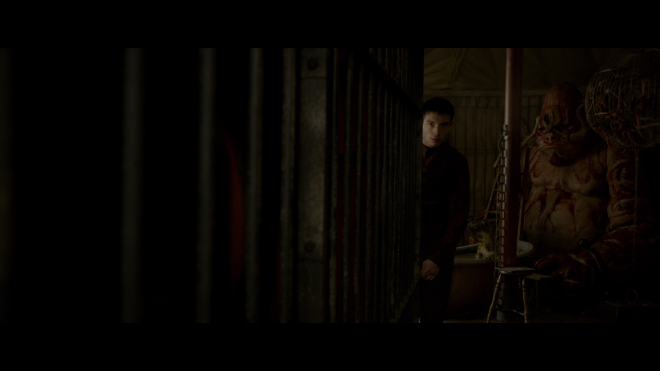 Shot on high-quality Arri Alexa 65 digital cameras, the freshly-minted transfer practically mystifies viewers from the opening moments with clean, well-defined lines of Grindelwald's prison cell, the ornate features of the Thestral-drawn carriage and the near-sterile baroque halls at the Ministry of Magic. Individual hairs, the threading in the costumes and the various small objects decorating the background of many homes are razor-sharp and plainly visible. Even the many CG animals and action sequences are highly detailed while facial complexions show every pore, wrinkle and negligible blemish with outstanding lifelike textures. Unlocking Scene Secrets (HD, 49 min): Exhaustive six-part documentary touching on various aspects of the production, featuring cast & crew interviews and lots of BTS footage. Wizards on Screen, Fans in Real Life (HD, 19 min): Ezra Miller is joined by Evanna Lynch, who played Luna Lovegood, to chat and comment on the latest installment to the series. J.K. Rowling: A World Revealed (HD, 10 min): The author and now screenwriter talks about her motivations, approach and aspirations in creating this new franchise. Deleted Scenes (HD, 14 min): Nine extended and excised sequences. Extended Version (HD, 142 min): The longer version adds seven minutes to the original runtime with previously deleted scenes and commences with a brief intro. 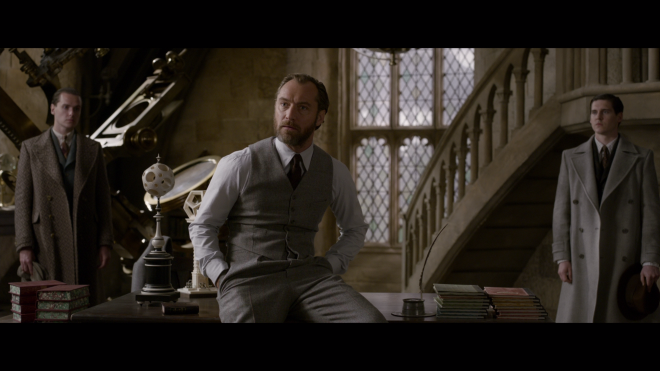 Director David Yates and author J.K. Rowling return to the Wizarding World once again in Fantastic Beasts: The Crimes of Grindelwald, another entry in the Newt Scamander prequel adventures. Without a printed source to work from, Rowling conjures an original tale meant to expand the Harry Potter universe, but the plot fumbles about trying to keep one too many spells and charms in order, ultimately failing to capture the same magic as its predecessor. 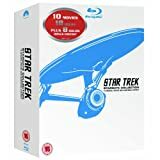 The second installment to the new series enchants Blu-ray with a stunning, reference-quality HD presentation, complemented by a generally satisfying Dolby Atmos soundtrack. Although the set of supplements are relatively small, they are nonetheless informative and entertaining, making the overall package worth a look for fans.